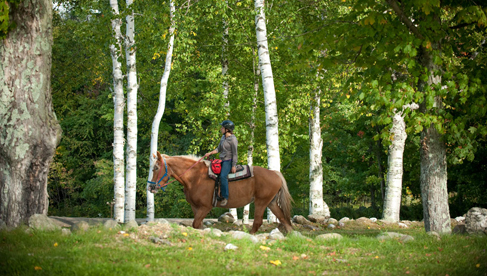 The Mountain Top Inn & Resort, located just 11 miles from Killington, is Vermont’s only resort with a full service equestrian program. 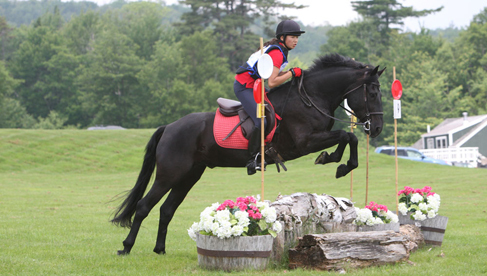 While offering accommodations and activities all 4 seasons of the year, the equestrian programs are available in summer months - June through October. Set on 350 private acres and abutting the Green Mountain National Forest, riders have easy access to over 40 miles of trails. 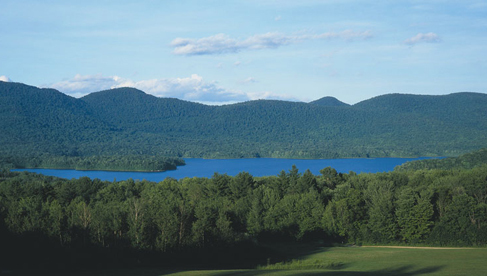 With meadows, woods, streams and sweeping views of a 740 acre lake and the surrounding Green Mountain range riders will experience some of the most scenic trails in New England. The Resort's Equestrian Center comes alive June through October, catering to horse riders of all levels - novice to advanced. Guests will enjoy guided trail rides on horseback with breathtaking views, lessons in English or Western, introduction to cross-country jumping, dressage and more. 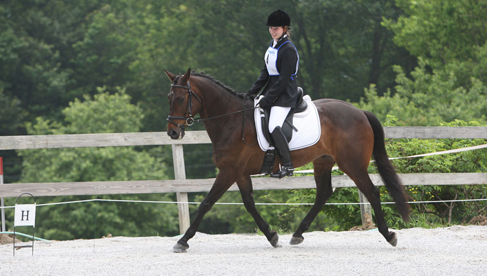 Working with many of the same horses for years, the staff can help each rider choose the perfect mount. Or if you prefer, bring your own horse and take advantage of on-site stabling. The Mountain Top Inn & Resort offers luxurious accommodations in classic and luxury Lodge rooms and suites, luxury cabins and a wide variety of guest houses. 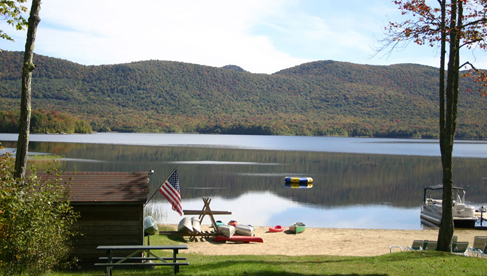 In addition to the riding programs, in summer guests have access to fishing, boating, a private beach on a pristine mountain lake, heated pool, disc golf, tennis, volleyball, clay bird shooting, hiking and cycling trails. In winter, guests enjoy quintessential Vermont activities such as cross country skiing, snowshoeing, ice skating, sledding, snowmobiling and horse drawn sleigh rides. The resort also offers free daily shuttles to nearby Killington for Alpine skiing. Year-round, guests have access to a brand new full service spa & salon, hot tub, fitness room, yoga studio, sauna and health & wellness programs. Also on property guests enjoy creative cuisine in the Mountain Top Dining Room & Tavern, In summer months outdoor terrace seating takes full advantage of the spectacular view. Within just a few miles, guests can visit several of Vermont’s local breweries/wineries/cideries, the state’s largest year-round farmer’s market, antiquing, retail shopping, golf, a wide variety of outdoor activities, scenic drives (with covered bridges and the world’s best foliage! ), farms, ‘maple sugar makers’ and more. 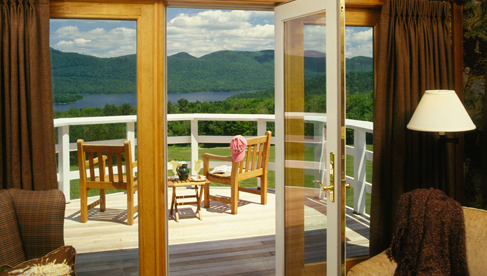 The Mountain Top Inn & Resort’s central Vermont location makes it a short drive from all points in the Northeast and because of its ease of access to major northeast cities and airports, it has a wide appeal for nation-wide and international travelers. 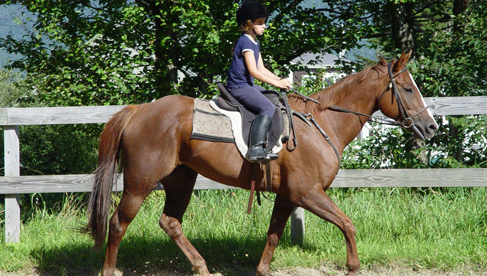 The Mountain Top Inn's Children’s Summer Horsemanship Camp is very popular with young guests who are specifically interested in “everything horses”. It is a fun learning experience and a memorable part of their summer vacation. The program is offered from July 1 to August 14 for children ages 6 – 12.Reservations are required at least 2 weeks in advance. We strongly suggest booking when making your room reservations since space is limited. Children’s Summer Horsemanship Camp is for children ages 6 – 12 years and over 42″ tall and is available Monday through Friday 9:30 AM – 3:00PM from July 1 to August 14. Space may be reserved on a daily or weekly basis. Learn more! Availability is limited. Horseback riding must be booked in advance of your arrival. Call 802.483.2311. Email the Mountain Top Inn. 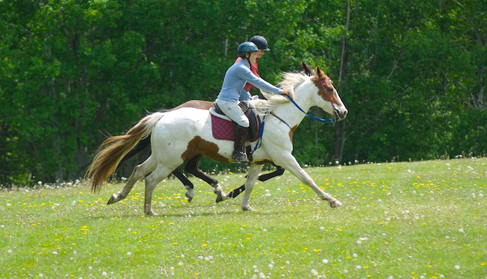 Equestrian enthusiasts will love this special riding package. 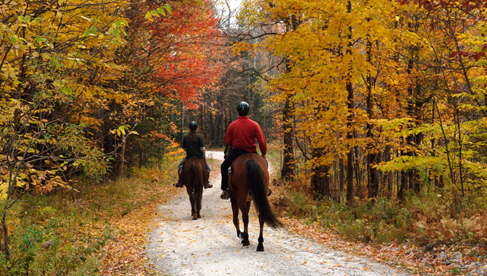 Explore miles of scenic trails on horseback with The Mountain Top Inn & Resort's "Horseback Riding Vacation". Valid June - October. Book this package for a June stay and receive a $100 resort credit! Our “Horseback Riding Vacation” starts at $1425 double occupancy; $1200 single occupancy. Learn more at the Mountain Top's website, by calling 802.483.2311. Email the Mountain Top Inn. Horse Riding Lessons & Clinics, Beginning Dressage, Cross Country Jumping, Trail Rides, Full Service Spa & Salon, Private Beach, Lake, Boating, Disc Golf, Tennis Court, Sand Volleyball, Outdoor Heated Pool, Clay-bird Shooting, Fishing, Hiking Trails, Yoga Classes, Fitness Center, Sauna. Winter activities XC Skiing, Snowshoeing, Ice Skating and more. Known for creative menus using many local ingredients, the Mountain Top Dining Room and Tavern (with outdoor terrace in summer) offer some of the best food in central Vermont. Menus change seasonally to allow the Chef to take advantage of the freshest ingredients from area farmers and vendors. Guest accommodations range from Classic and Luxury Lodge Rooms & Suites , luxury cabins and a wide selection of Guest Houses. The Cabins and some Guest Houses are pet friendly. Real estate opportunities are available in the Trailside Cottages Development. The Mountain Top Inn's location in Central Vermont offers our guests easy access to a variety of Vermont sites, attractions and activities: Ben & Jerry’s Ice Cream Factory, Morgan Horse Farm, Vermont Teddy Bear Factory, Vermont Marble Museum, Simon Pearce Hand Glassblowing, as well as extensive antiquing. 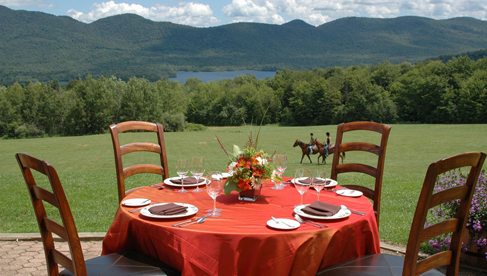 The Mountain Top Inn & Resort is central Vermont’s premier setting for a "Horseback Riding Vacation". 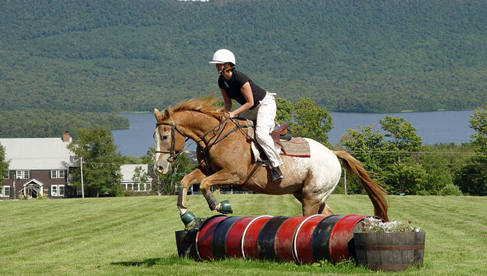 Enjoy one, two and three hour trail rides through 350 acres, surrounded by Vermont’s Green Mountains and overlooking a recreational mountain lake.